Harold V. Gipson, age 79, of Benton, KY passed away on Sunday, April 14, 2019 at his residence. Harold was a retired timber harvester with Local Labor Union 1214. In his free time, Harold loved to go fishing and work on tractors and do small engine repair. He will be remembered by those who loved him as a caring and giving man who took care of his family. 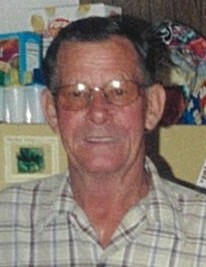 Mr. Gipson is survived by his son, John Gipson and wife, Michellee Doom Gipson; two sisters, Bobbie Higgins and Patricia Thompson, both of Benton; one brother, Kenneth Gipson; five grandchildren, Jonathan Gipson, Pattie Hancock, Kayla Beecham, Chas Gipson, and Brittany May; and fifteen great-grandchildren. He was preceded in death by his wife of 41 years, Jondalyn Hiett Gipson; one daughter, Stacey Gipson; one son, Scott Gipson; four sisters, Kathrine Mathis, Mamie Burkeen, Louise Owens, and Jimmie Chance; and three brothers, Carl Gipson, Rudell Gipson, and Paul Gipson. Funeral services will be held at 1:00 on Wednesday, April 17, 2019 at Filbeck-Cann Funeral Home of Milner & Orr with Rev. Rick Minter officiating. Burial will follow at Marshall County Memorial Gardens. Visitation will be held from 11:00 am until the 1:00 pm service time at Filbeck-Cann Funeral Home of Milner & Orr. 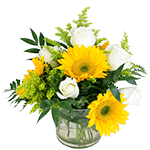 Expressions of sympathy may take the form of donation to: Lourdes Hospice, 1530 Lone Oak Rd., Paducah, KY 42001.